The competence system - adopted for the ELA Certification - reflects the expectations of workplace performance. The ELAQF Qualification Standards have been developed with and agreed by industry. The Standards are outcome-based and form the basis of assessment. Assessment is independent of any learning programmes. The official version of the Standards is published in English. However National Certification Centres can provide the Standards in their local language(s). The ELAQF Qualification Standards are now availble for download on the the ELA website. Under the umbrella of the European Logistics Association on April 10th the first-ever European Supply Chain Day will take place. Activities such as school visits, tours of warehouses, opening up back-offices to visitors, talks and site visits will be taking place throughout Europe on the same day. ELA President Jos Marinus states: "European Supply Chain Day aims to raise awareness within the broader population of the value of logistics and supply chain activities in our everyday lives. A main focus will be with young people as we seek to inform them of the great career opportunities that exist within our profession. This is a unique opportunity to raise the profile of our profession and I encourage all levels of participation in this new and exciting European development." 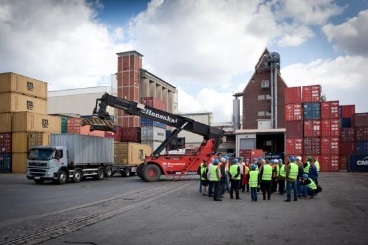 Previously, similar individual events have been held in a number of European countries to raise awareness of the logistics profession. European Supply Chain Day will now take place on the same day across Europe. Innovation in Urban Logistics and Multimodal Platforms. On the 19th of March the European Logistics Association will organise the third European Conference, this time hosted by MEP Mrs. Inés Ayala Sender. The program details will be available soon but we can give you already an idea on the content. "Current city and multimodal programs"
"Future projects in urban logistics"
Followed by a panel discussion with all the speakers. "What should we do now". The European Logistics Association was founded in 1984. So this year we celebrate the 30th anniversary. A splendid gala event will take place on the 28th of October in Lisbon during the Eurolog. All previous Members of Board will be guests at this event. Everybody can of course participate in the Eurolog and register for this celebration. SMEs in Europe have been facing many difficulties in recent years. However, the economic recovery measures implemented by Member States and regions are starting to have positive effects on these enterprises, and the European Union is complementing these measures at the European level. In this context, the European Commission's Vice President Antonio Tajani will carry out a number of missions to Member States as part of the EUROPE 2020 Strategy for Growth, with the aim of "Promoting Business Partnerships in Europe". Priority will be given to regions with high youth unemployment. 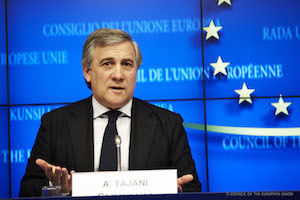 During the next three months Vice President Tajani has confirmed missions to Belgium, Greece, Italy and Spain. As with previous events in Greece and Portugal, these missions will consist of a conference at political level, accompanied by a business-to-business event, principally for SMEs. The objective is twofold: to raise awareness among European companies of business opportunities within the respective regions; and to bring SMEs from all over Europe in contact with local SMEs, thus paving the way for possible collaboration and partnerships in joint undertakings, transnational technology transfer, trade investments etc. Practical preparations have already started, and we request your help to reach out and extend our invitation to the SMEs your association represents. We shall be grateful if you would forward the information directly or - if applicable - via your member organisations at national level, so that they can extend our invitation to the SMEs they represent. The conservation of resources, reliable urban supply and the growing complexity of flows and data are the major challenges the logistics sector has to face up to in the future. To tackle these challenges, researchers as well as companies throughout Europe are already working on innovative strategies, smart solutions and advanced products. However, logistics research is not yet sufficiently interlinked on an international level. Cutting edge research has to improve cooperation to implement efficient solutions and to enable a better sustainability performance within the European logistics sector. The workshop aims at creating and deepening collaboration between researchers and representatives from industry (big companies as well as SMEs) who deal with innovation issues and are interested in tackling new projects in collaboration with researchers on an international and interdisciplinary scale. The target group comprises the research and innovation community within the six regions of the LOG4GREEN project as well as other logistics regions in Europe. The LOG4GREEN project connects six logistics clusters - Carinthia (Austria), Ruhr Area (Germany), Wallonia (Belgium), Normandy (France), Istanbul (Turkey), and Odessa (Ukraine) - to strengthen their RTD-networks, foster trans-regional innovation dynamics and develop a joint action plan for future activities. The project is financed through the Regions of Knowledge-Programme under FP7 (Capacities). As an outcome of the workshop, researchers will get new insights into state-of-the-art logistics research in other countries, establish new contacts for further collaboration or even design and agree on concrete cooperation projects. The workshop will start with two introductory talks related to the great challenges of the logistics sector and the role of logistics within HORIZON 2020. It will be continued by four parallel sessions. The EuroPruning project has met with key stakeholders in Brussels to explore opportunities for co-operation in communicating and exploiting project results, with the aim of ensuring the extensive future use of agricultural prunings as an energy source. EuroPruning will develop new machinery for harvesting and treating prunings from the field, provide solutions for cost-effective storage options, and develop a decision-support tool to improve logistics from farm to final user, bringing down costs for this underused biomass source. Stakeholders from each stage of the EuroPruning value chain were present, from the European Farmers and Agri-cooperative Association (COPA-COGECA), European Agriculture Machinery Association (CEMA), European Logistics Association (ELA), European Biomass Association (AEBIOM), European Biomass Industry Association (EUBIA) and the Renewable Heating and Cooling Technology Platform. Virginie Rimbert from European Commission DG Research and Innovation opened the meeting, setting out the importance of new value chains for expansion of biomass as an energy source. Project co-ordinator, the Research Centre for Energy Resources and Consumption (CIRCE), then outlined the aims of the project and its expected outputs, before handing over to Communication and Dissemination managers, Greenovate! Europe, to explore co-operation opportunities and establish connections for future activities. The project and its stakeholders have agreed to work together over the course of the project to help EuroPruning to achieve commercialised replication of its results, to the advantage of the project partners, stakeholders and society at large. The EuroPruning project launched in April 2013 and runs until July 2016. It is co-ordinated by CIRCE (Research Centre for Energy Resources and Consumption) and the project consortium contains 17 members from Spain, France, Germany, Italy, Poland, Sweden and Belgium. The project website is www.EuroPruning.eu. Vlerick Business School and Groenewout in partnership with the European Logistics Association are preparing an in-depth Supply Chain Management benchmark survey for the healthcare industry. 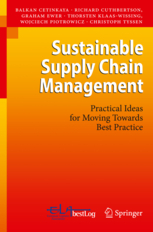 There is on Senior Management level a growth of awareness about the importance of Supply Chain Management and also a need of well implemented Supply Chains strategies to make the overall company more successful. An agile supply chain is a competitive advantage, but in reality the majority of the supply chain structure of healthcare companies can't react flexible enough to meet the needs of their customer base. Gross margins are under pressure due to several reasons by i.e. growth of generics and OTC-market which is stimulated by authorities, savings programs in the hospitals and by decrease of patent periods. EU-directives: i.e. serialisation, parallel import, more stringent requirements enforced by GMP/GDP. Changing route-to-market strategies i.e. direct-to-patient/pharmacy. High value products affects working capital to finance R&D => postponed customisation. The customer expects better service levels in terms of i.e. stock availability, shorter delivery lead times, higher (L)OTIF-rate, order visibility, cargo monitoring. Are you interested in such a benchmark and you would like to contribute than this is an opportunity you shouldn't miss. The outcome of this study will deliver great valuable findings with company specific recommendations. Please get in contact with the following contact persons for more detailed info.